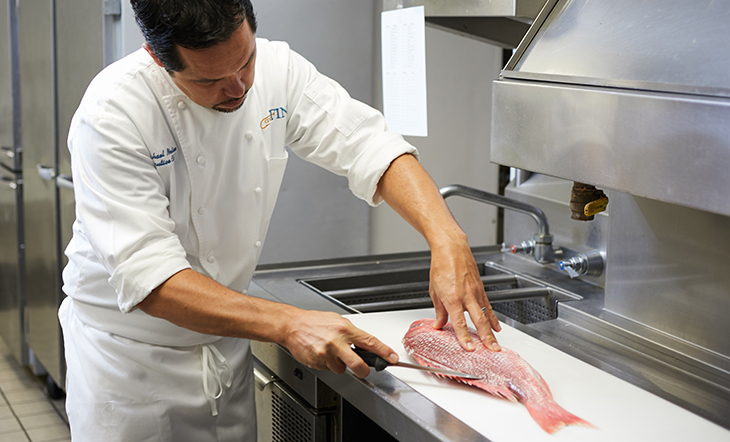 Chef Michael Nelson of GW Fins has long been advocating for sustainability on the table and in the kitchen, particularly as it pertains to fish and seafood. 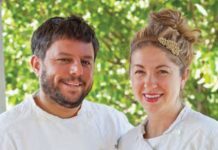 Recently, Mike and three other chefs put advocacy into action and partnered with the Faux Pas Lodge Invitational for an inaugural seafood boucherie at the annual fishing rodeo in Venice. “Boucherie is when a community comes together to harvest an animal, using every part. It’s the kind of event where everybody shares knowledge and ends up having a big feast. So, it got me thinking about the ways I can apply that to seafood, and a fishing rodeo was the perfect opportunity,” says Mike. On Saturday of the invitational, Mike and his team of chefs set up near the cleaning stations and asked sportsmen if he and the team could have the leftover carcasses when they finished cleaning what they wanted from their catches. We wanted to learn more about the practice of sustainability in the fishing industry and how it can be applied in our everyday lives, so we asked Mike to share more of his wisdom with Louisiana Cookin’. What initially sparked your interest in the sustainability of fish and other seafood? Sustainability is an issue across the board when it comes to seafood, and being a chef at a seafood restaurant, you can’t help but be interested in all the different studies that come out. It’s pretty difficult to stay up-to-date with what’s going on because there are just so many different voices and opinions out there. There are so many different sources that it’s tough to really pinpoint what’s sustainable and what isn’t. So, from my perspective here at the restaurant, I found the thing that I could do that would have the biggest impact was to not waste anything. 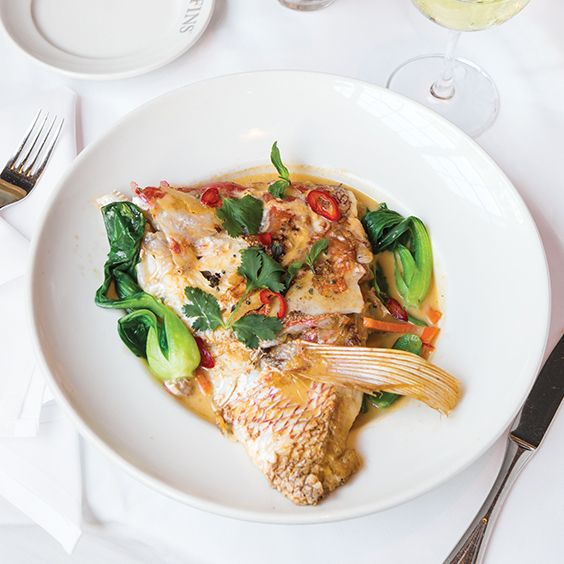 We butcher every single fish in-house, and everything we buy is whole. I think I may have a unique perspective because I see the fish being broken down on a daily basis. Not to say that I don’t think other chefs and restaurants are not on the same page; I just don’t think that they’re as aware. I just felt that I was very aware of how little of the fish typically gets used. Depending on what you’re talking about, anywhere from 20 to 35 percent of the fish, on average, is all we use. 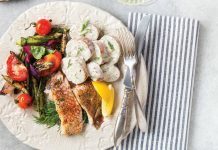 There’s a great deal more on that fish that is delicious and easily prepared, but many people don’t see it. We’re talking about the collars, the cheeks, the head. Other cultures find a way to use the entire fish, but here, we typically only focus on the boneless fillets. I think we could use what we have more efficiently before we talk about targeting these species and how to make more fish. We already have more fish, but we just need to get everybody on board with how to use it. It seems to me there could easily be another 10 to 20 percent more of the fish that we currently have. What do you think is at stake if Gulf fishermen, as well as restaurants and businesses, fail to adopt a more widespread practice of sustainability? What can we gain if they do? This [seafood boucherie] was my first opportunity to really work with the sportsmen on this. If you look at the quotas of how much the Wildlife & Fisheries and NOAA (National Oceanic & Atmospheric Administration) allows, you realize what a huge percentage of that fish is slotted toward sportsmen and recreational fishermen. So, it seemed silly to only focus only on fish houses and restaurants. The obvious thing we can gain is more fish to eat. Sportsmen have a lot of respect for the animals they hunt and fish, and they want to do everything and use everything that’s possible to conserve. 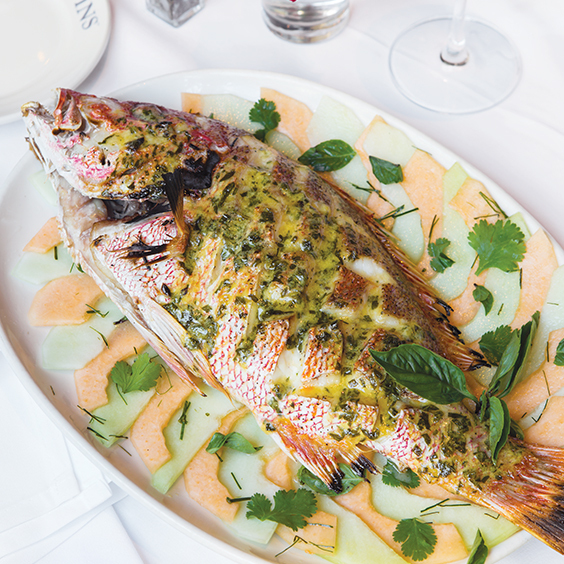 The practices set up by NOAA and other organizations, as far as quotas, have been reasonably effective—particularly the strict quotas around red snapper. But at the same time, there’s only going to be a finite amount available due to the fact that this is all we’re ever going to be allowed to fish. 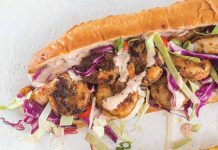 So really, the only way to increase the catch we have in Louisiana and out of the Gulf is to find a way to eat more of the catch that we already have. The only way to have more fish to enjoy is to adopt these practices and help people get a little more open-minded about what it is to eat fish and not just fillets. Fish cooked on the bone has so much more flavor, and I wish we could get people to the point that they appreciate that a little bit more. What are three practical ways people can implement more sustainable practices as sportsmen, chefs and home chefs, and beyond? I would say step one is to start eating whole fish. If you have that option as a sportsman, or even at a fish market looking for dinner, practice how to cook whole fish. When there’s a fish that is small enough to be cooked whole, I think everybody should embrace the idea of enjoying it whole and with the head on it. Whether you’re roasting it, frying it, even sautéing it, you’re going to realize how much more food is there by picking off that meat and finding those wonderful little morsels of meat you don’t normally get. I think step two really applies to the markets and asking for fish collars, which is what I use for my fin wings [at GW Fins]. I think it’s the easiest part to remove from the fish, and it doesn’t take a lot of work in preparing it. It amazes me at the fish houses and the sheer level of fish that gets discarded. If we could just start eating more fish collars, I think that would make a huge dent in the amount of fish that’s being wasted. And I think the last thing is to have an open mind and be a little more adventurous when you go out to eat—maybe try one of those species that are a little bit more sustainable, that you might not have heard of before. Being open to eating fish with the skin on it really helps keep fish from being wasted, plus it makes it so much more flavorful. You know, if someone offers you fish head soup, go for it! I think that’s kind of my end goal at GW Fins. Once I get people eating fish heads at the restaurant, my job is done here. 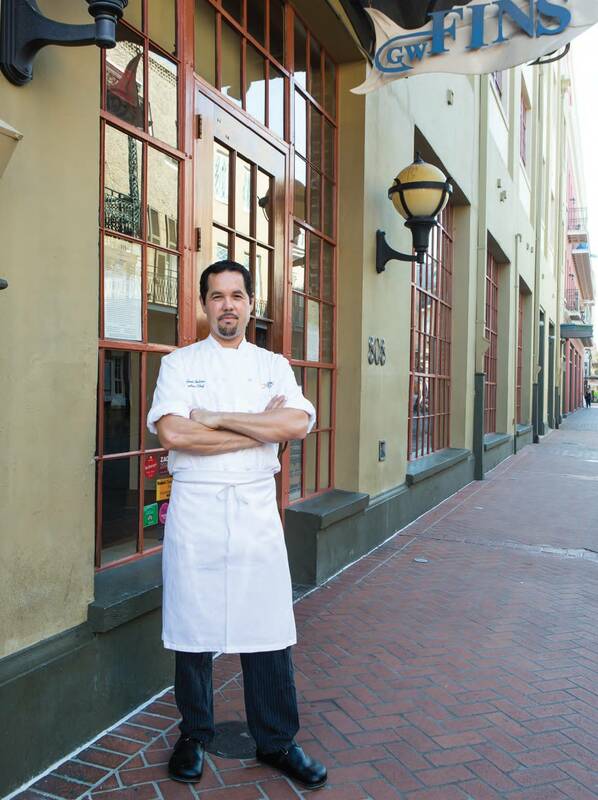 Check out Michael’s recipes for Fish Heads in Curry Broth and Pomegranate-Glazed Shrimp with Mango Salsa.